This entry was posted on Sunday, June 16th, 2013 at 8:28 am	and tagged with The Best Years of Our Lives, William Wyler and posted in Holiday Posts. You can follow any responses to this entry through the RSS 2.0 feed. Bless you! I can’t look at that moment without choking up! One of the great scenes in one of the greatest films of all. Who says deep-focus can’t tug at your heartstrings? Thank you!! I still get choked up every time I see it . 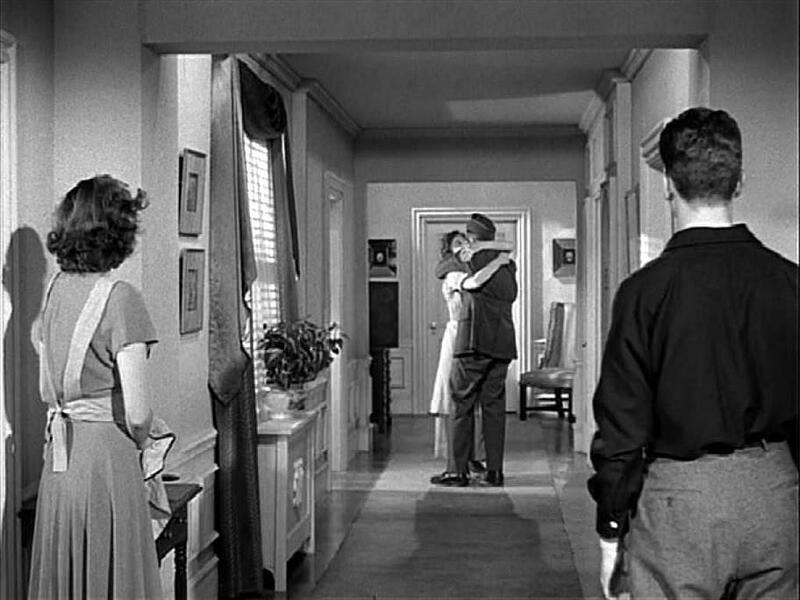 I wonder why William Wyler isn’t regarded with the same adulation as, say, Howard Hawks? His output is really impressive. Truly the pinnacle of classic Hollywood Production, no? Good question. I think Wyler was a great craftsman and THE BEST YEARS OF OUR LIVES is as great as anything that came out of the studio system era. But I also think his work as a whole lacks the stylistic and thematic unity of an artist like Hawks. TO HAVE AND HAVE NOT and RIO BRAVO (to cite the first examples that come to mind) are two movies that take place in the same recognizably Hawksian universe. I’m hard pressed to find a similar continuity between any two Wyler films (good as they might be when looked at individually). As many detractors of the Auteur theory (among which I am not) have pointed out, many components go into making a finished film. I certainly don’t need to convince you, who have actually directed! I have a sneaking suspicion that someone like Wyler is not revered because it is harder to find a unifying theme/ethos/style to his work. But that is only a detraction vis-à-vis Auteurists. You can’t really talk about a Wyler world-view the way you can about a Godard world-view, but does that diminish Wyler’s stature as a superb craftsman and director of actors in whatever pantheon Andrew Sarris and the Cahieristes came up with?